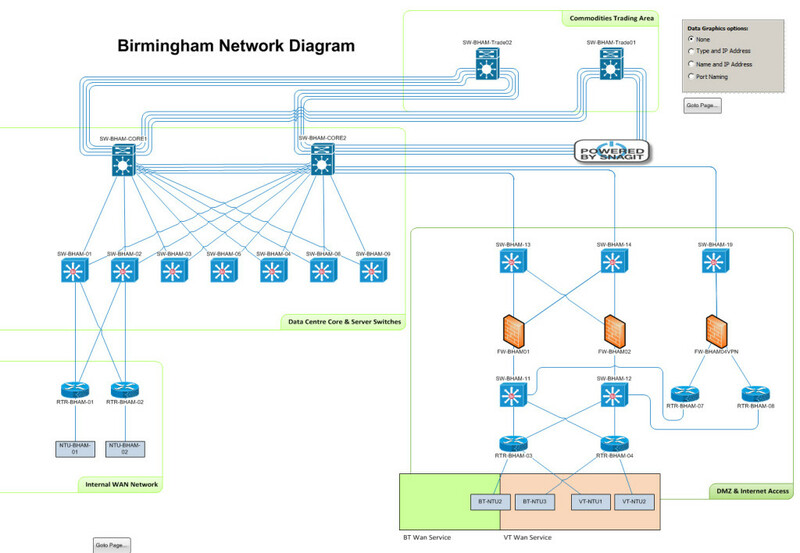 Network Topology Mapper (NTM) from SolarWinds. We will be releasing a five page document with some very powerful options to create Visio Diagrams that can be maintained easily. See it as a Google Maps for IT infrastructures. We visualize the IT infrastructure, the components and their relations. We can zoom in and zoom out to get a global or detailed views of the IT components (or a specific filtered view of the IT infrastructure). In IT we call that drill down. Simply told: We are looking for a visual and flexible representation of the IT infrastructure. Just like Google Maps. Would it not be great to visualize the IT landscape and create dynamic views of IT building blocks and the relation with other IT components? Zooming in, zooming out and creating flexible diagrams (views). Just image you can create an overview of all the houses in an area build after year 2000? Translated to IT: Give me a network diagram of the core infrastructure where the components are not older than one month in production. Network Mapping is related to Configuration Management and also to Service Management tools (e.g. ServiceNow). In a few other articles we will hook into the integration possibilities to get the most out of the tools without duplicating work already done. More Network Mapping software tools? If you have a tool that should be included in this article, please let me know.